I'm happy to report that I finally had some time to stamp! I was able to make cards for my blog for this week and next. This was the first card I made. I made the floral background using the stamp set "Printed Petals" with monochromatic pinks and purples. 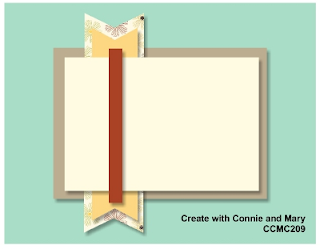 The sketch comes from Create with Connie and Mary and it has tons of layers so it also qualifies for our LNS Challenges "Lots of Layers" It's a happy card perfect for summer! Cute card! Love the layers!! Great way to combine both challenges! Love the colors, too! Thanks for playing the challenge at Create with Connie and Mary! Pretty card! I love all those layers and the yummy colors! Thanks for joining us at Create With Connie and Mary! Great color combo! Very girly! Thanks for playing the Create with Connie & Mary Challenge this week! What a cute little Frankfurter! My dogs are always with me in my craft room. Thanks for sharing your card and playing along with the sketch challenge at Create with Connie & Mary. When I first say this my thought was that it had a real 'flower child' feel to it...so happy! Thanks for playing along this week in the Create with Connie and Mary Thursday Challenge! WHat a fun card for any girly girl! The colors are fantastic! Thanks for playing along with Connie & Mary this week! Funny that I grabbed this stamp set today for a project! Love all the blossoms! Thanks for playing CCMC! Cute way to use that set to make your own DSP! Thanks for playing along with the sketch challenge this week on Create with Connie and Mary Thursday Challenge! I love this layout. Great job, obviously this is your type of challenge, lol. Lots of layers.